ANTARCTICA GEOLOGY:  WHAT IS UNDER ALL THAT ICE? Byrd Lane, and the area east and north of the Transantarctic Mountains. combined. For the purposes of this module an overview will suffice. so far that if it were removed, the land would rebound nearly 2,000 feet. supercontinent made up of all the major continents in the Paleozoic Era. include sandstone, shale, limestone and some coal. the Tetons with twice the relief above the surrounding land. rocks and one of the only active volcanoes is found on the peninsula. granitics, dolerite (a course-grained basalt), slate, marble, and quartzite. no volcanism, earthquakes, and is not in motion. be economic, is covered in another module. Antarctica and South America at that time. the Antarctic ice and to explain from where the rocks may have come. microplate collisions in the last 500 million years. rocks like gneiss and schist, granites, and sediments from oceans. mountains in the first part of their journey. The students will know that Antarctica was part of Gondwana. broke up from 200 to 40 million years ago. volcanism, but does have a few active volcanoes. a map of Gondwana available in the supplementary package. level of difficulty for the instruction. mountainous areas of West Antarctica. rocks. Inform the students that this area is now relatively flat. Mountain Range:  sedimentary rocks like sandstone, shale, and limestone. students that these rocks also represent a land with mountains in it. is early Paleozoic, and the west is late Mesozoic and early Cenozoic. 1-Identify the rocks by type, if possible, by name. sedimentation or tectonic events such a volcanism or metamorphism. 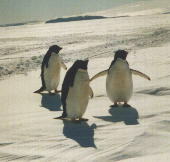 3-Write a brief geologic story of how their part of Antarctica was formed. by microplate collisions from 200 to 40 million years ago. can be done all at once or place by place as the Expedition progresses. Rocks: new basalt and 60 to 80 million year old slate and andesite. coast Rocks:  1 to 3.5 billion year old gneiss, granites, and sandstone. 1-Identify the rocks at the 3 locations. 2-Write a short description of how the rocks probably formed. under the Trans-Antarctica Expedition's route. 1-Fill in the rock names in the areas shown on the "map." the last 500 million years mean?